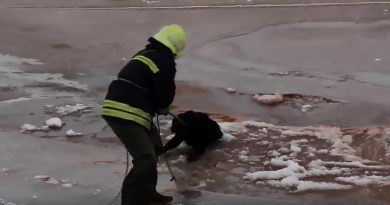 Firefighters were called to a stunned family’s home after they found a cute beaver stuck on their waterlogged outdoor pool cover. 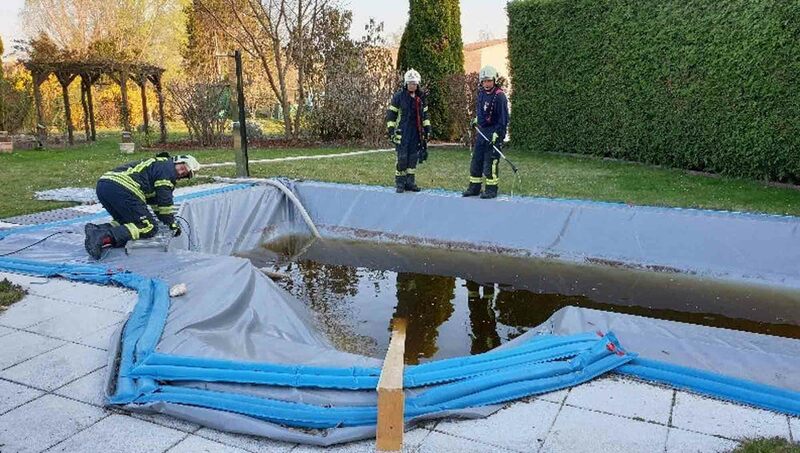 According to local media, the unnamed homeowner spotted the semi-aquatic rodent struggling to get out of the pool and decided to call the fire brigade for help. 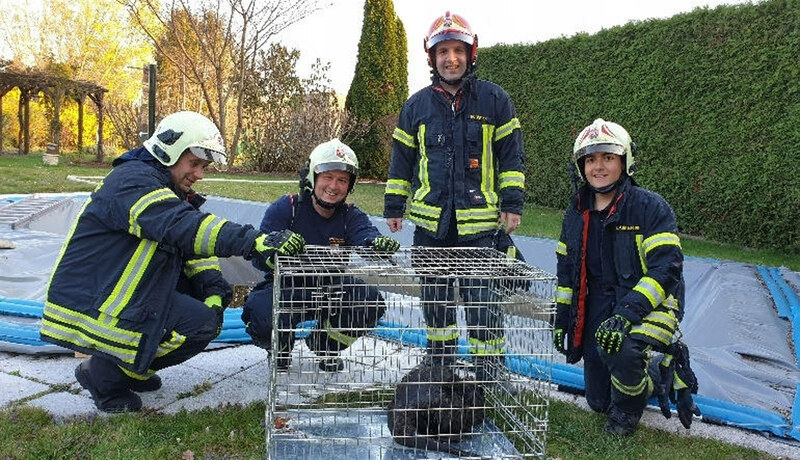 Four firefighters arrived at the home in Langenzersdorf in the Austrian state of Lower Austria, and found the beaver trapped in the water that had accumulated above the sagging pool covering. 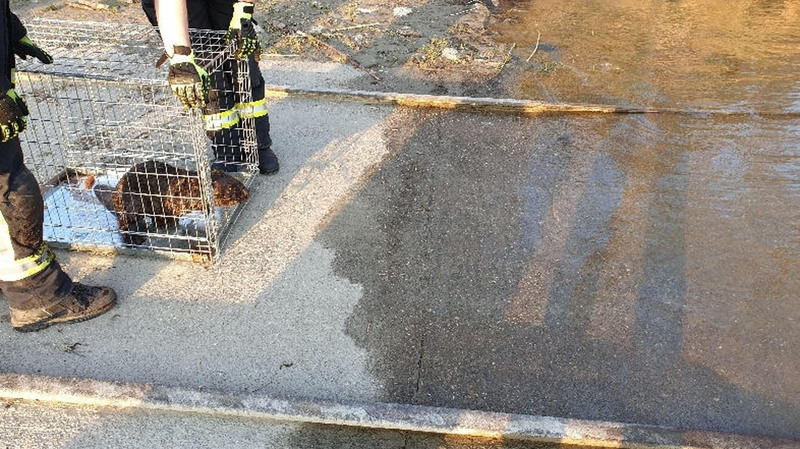 The firefighters were able to fish the beaver out of the outdoor pool and then placed the frightened rodent inside a cage. 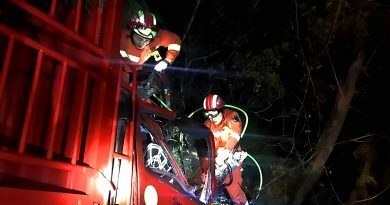 In total, it took the firefighters 45 minutes to complete the operation. 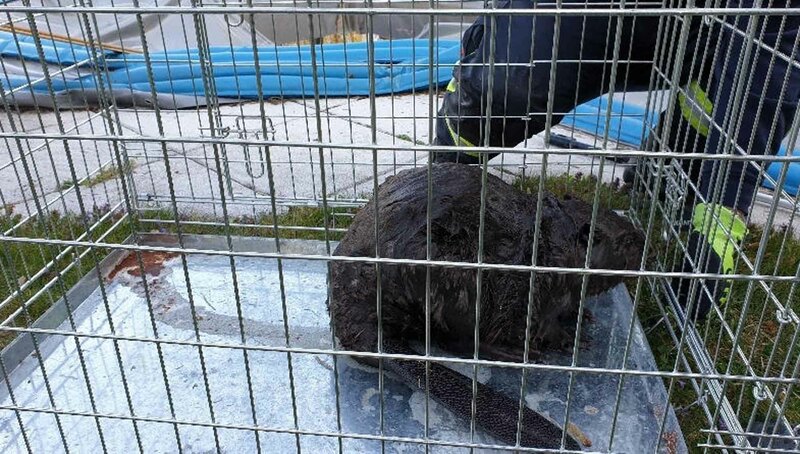 Rescuers let the beaver dry off in the cage for a while before driving it to the banks of the River Danube where it most likely came from. 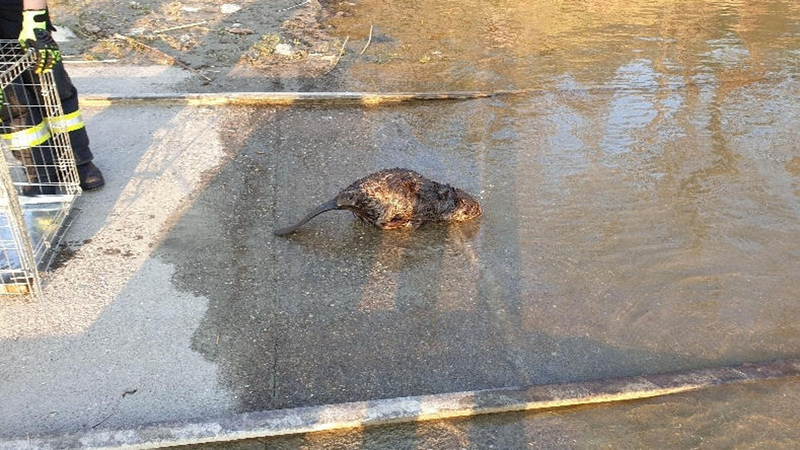 Reports said that the little beaver rushed to jump into the river the moment its pen was opened. 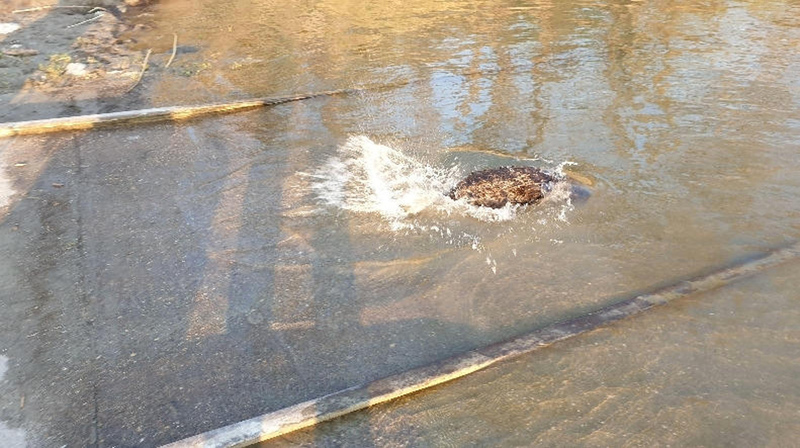 Photos show the beaver running from its cage and jumping into the water with a splash. 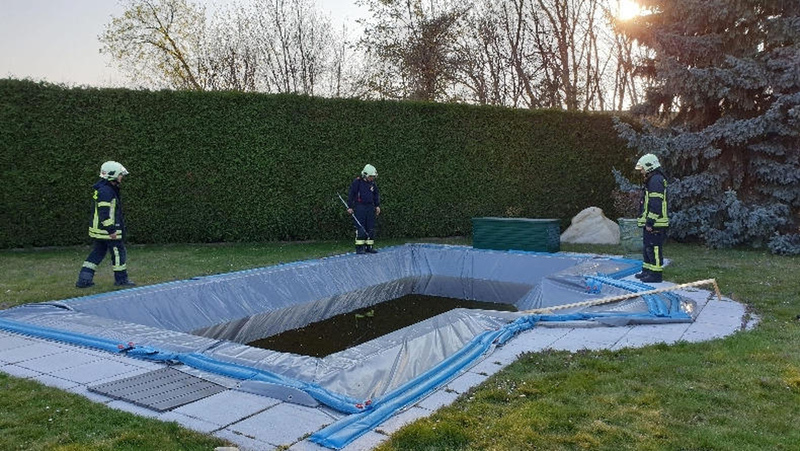 Many pool safety experts consider pool covers to be dangerous because animals and children are sometimes attracted to them like toys. 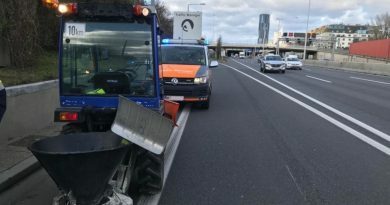 They can also give the impression that they can be walked on.